The ATX3510HR is a 190 Watt embedded power supply with a PCIe/104 stackable bus structure. 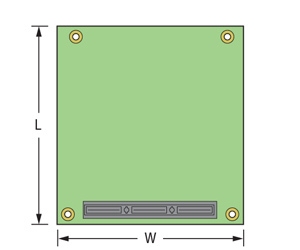 With 5V standby, 5V main, and 12V, this module is also input protected against over-voltage, over-current, and reverse voltage. 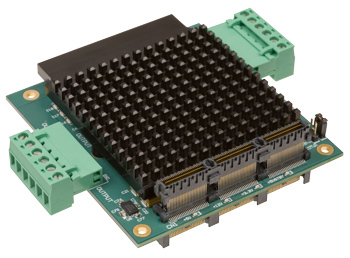 This rugged power supply is synchronized to reduce noise and system stress. 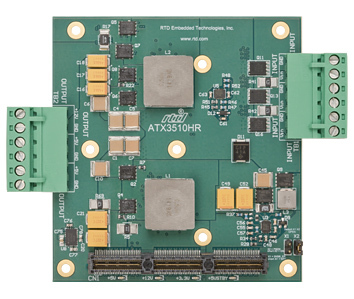 The small footprint and high power capabilities of the ATX3510HR-190W make it suitable for many technology-rich, high-reliability military, industrial, and research applications.